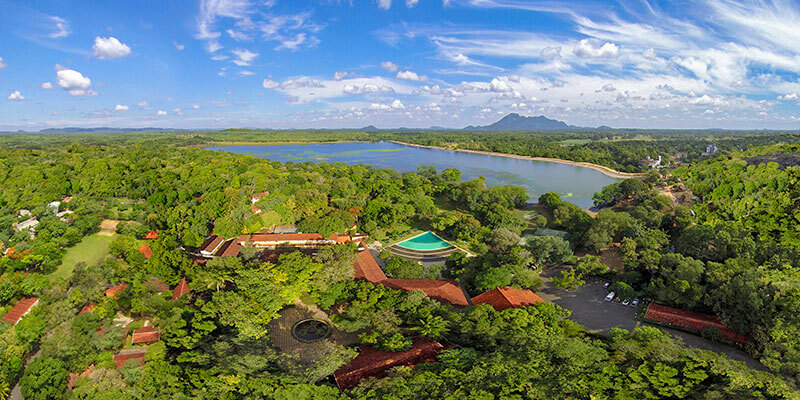 Gracing you with the inherent serenity of the region, Habarana Village by Cinnamon is situated in the district of Anuradhapura, Sri Lanka. 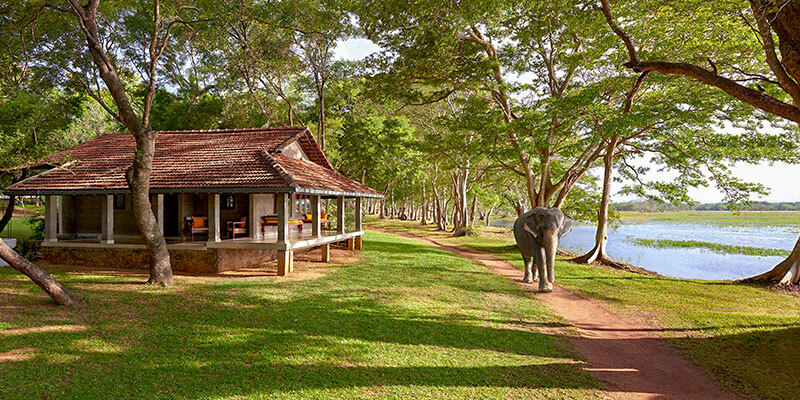 A preferred hub for wildlife enthusiasts and culture thirsty travellers, Habarana Village is positioned within accessible distance of the Minneriya National Park and the Sigiriya Rock Fortress. Set to pamper holidaymakers, Habarana Village hosts a selection of accommodations that flaunt a minimalist inspired rustic design. 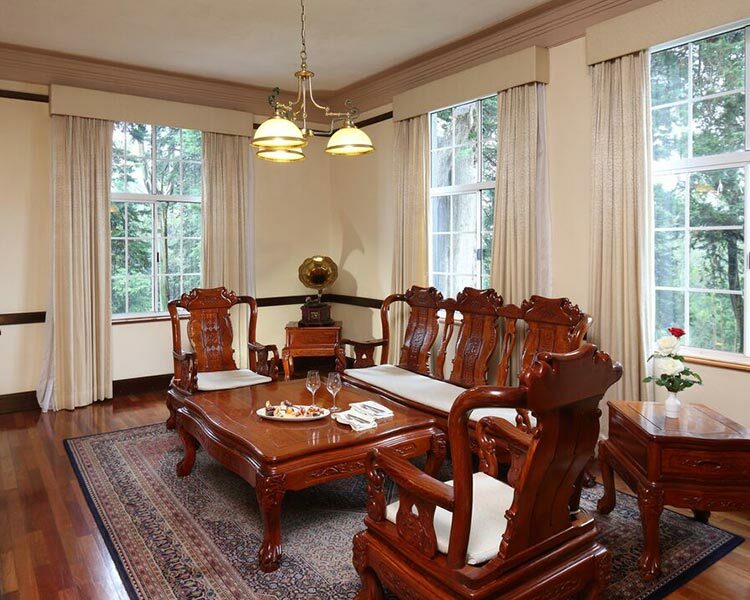 Captivating the travelling duo or the recluse traveller, the Superior Room at the hotel provides for a cosy setting. An excellent choice for group vacationers, the Superior Rooms 94 in number are clustered together. 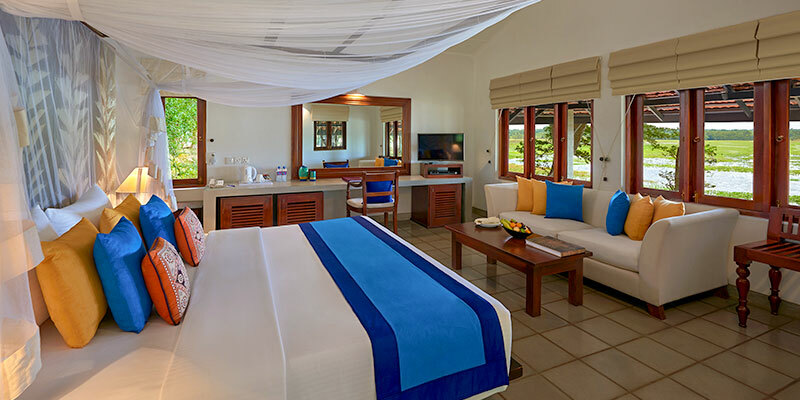 The Deluxe Room in contrast provides a more spacious ambience. 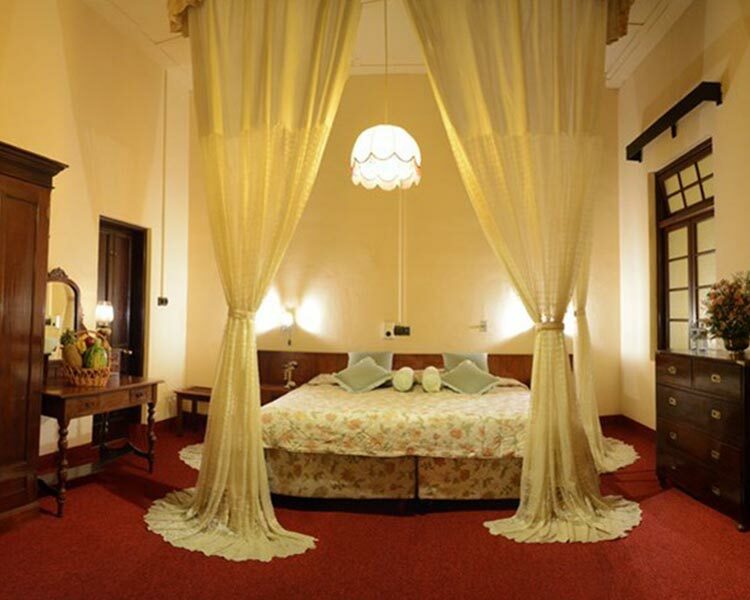 Finished with a four-poster bed and a private veranda, the 12 Deluxe Rooms indulges their guests with simplistic luxury. A favourite of the VIP traveller, the Eagle Lodge and the Kingfisher Lodge suites at Habarana Village treats its guests with an uninterrupted view of the lake. Enhancing its superior look, these lavish lodgings are complete with a living room, open-air bathroom with an indoor cement bath and veranda. 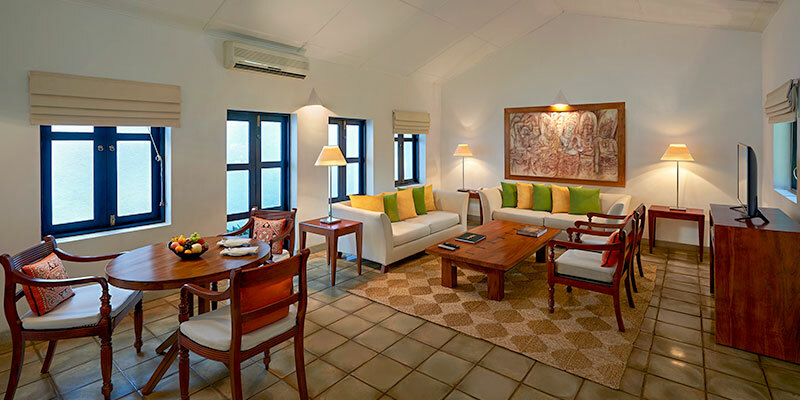 Befitting the newly wedded couple the luxurious Kingfisher Lodge is placed in seclusion, ideal for an intimate getaway. 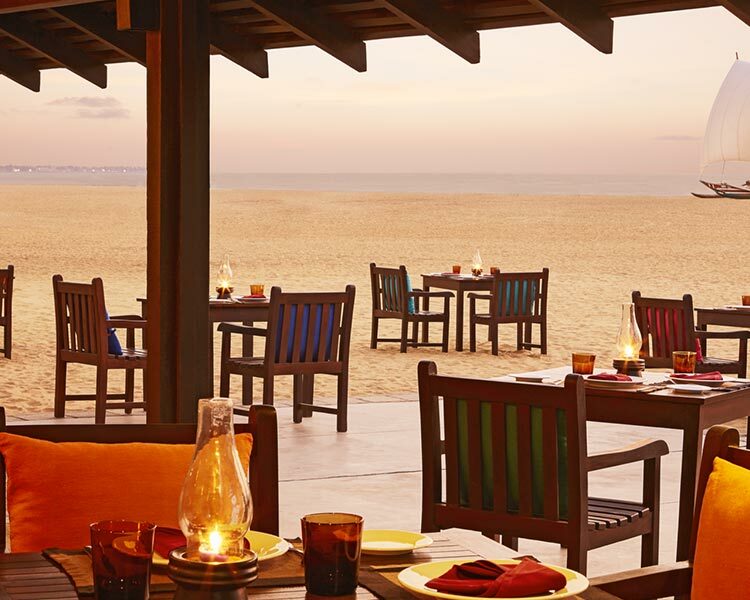 Tantalising your taste buds, food at Habarana Village is an impressive affair. 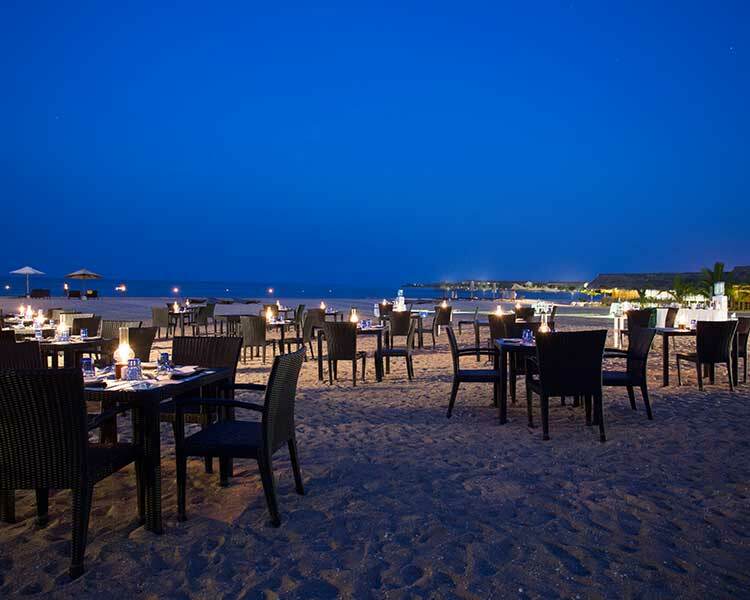 Enjoy the great open air while tasting international and local cuisine at the El Hena Restaurant. Sourcing their ingredients from neighbouring villages, recipes utilised here are authentic. 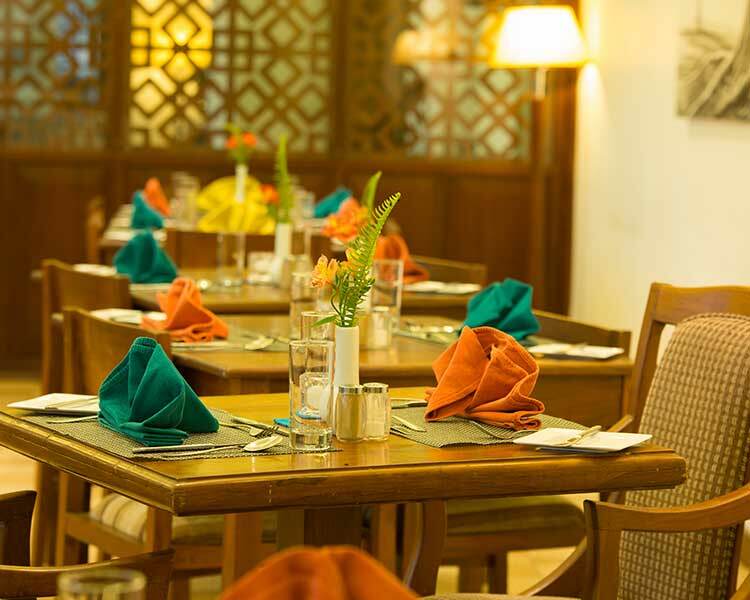 If the regular buffet is a little too hefty for you, pick a deliciously light snack from the a la carte menu at the Panthaliya Coffee Shop. 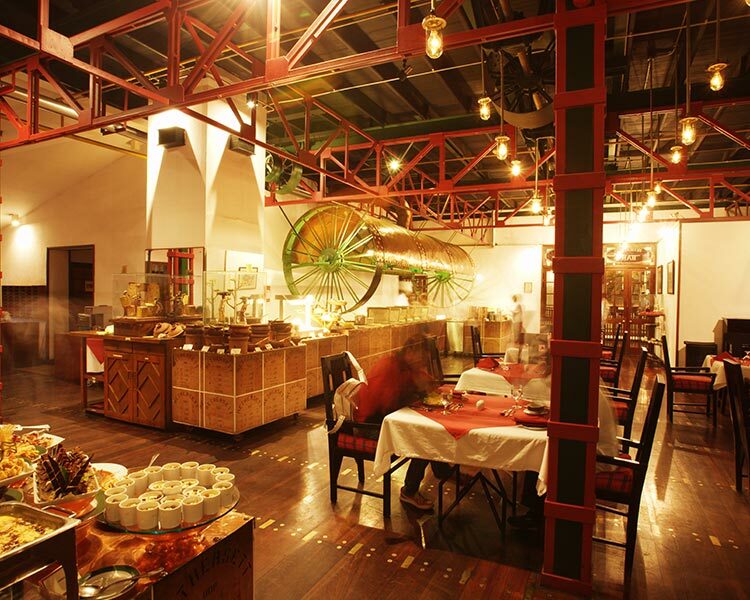 Showcasing remarkable collection of wine and spirits, the Ritigala Pauwwa makes delicious cocktails and mixes. 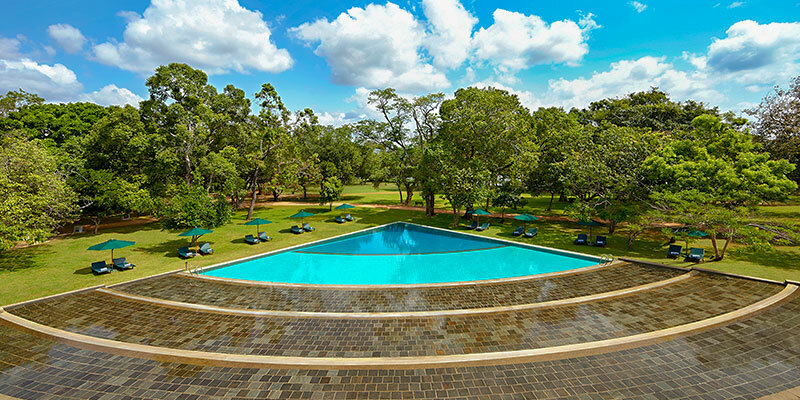 Providing a stunning view of the pool, Ritigala Pauwwa’s unique atmosphere is complete with high bar stools and the occasional visit of birds and monkeys. Perfect your tranquil retreat at the Azmaara Spa by taking a revitalising therapy. 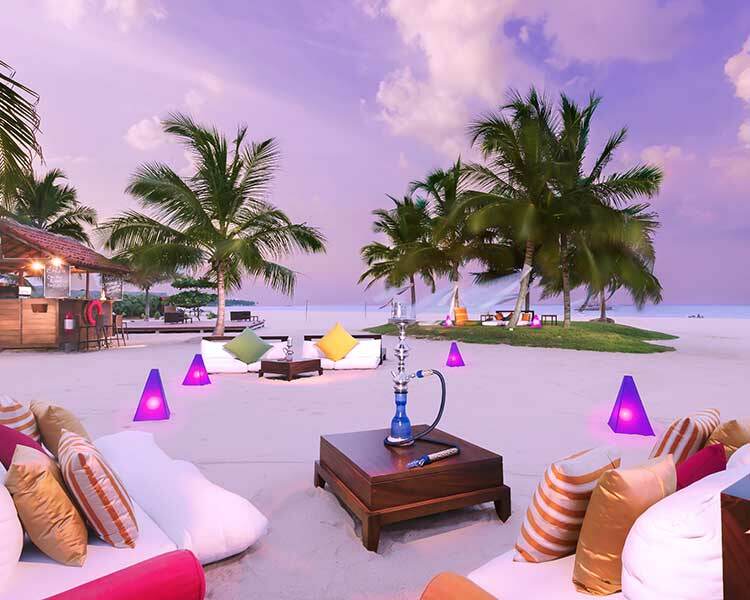 Rejuvenate your senses under the skilled expertise of world-renowned therapists. An internationally reputed spa brand, Azmaara offer both Swedish and Balinese and Swedish healing practices. Resume your recreational retreat with a relaxing swim or an energetic game of tennis at the hotel. Equipped with a sizeable banquet hall, Habarana Village is an ideal venue for a wedding. The voluptuous space is capable of hosting 50 – 60 guests. For a more exotic celebration, you can consider the hosting an outdoor wedding. The garden space at the hotel is set by the lake will illuminate your special day with vivid imageries. 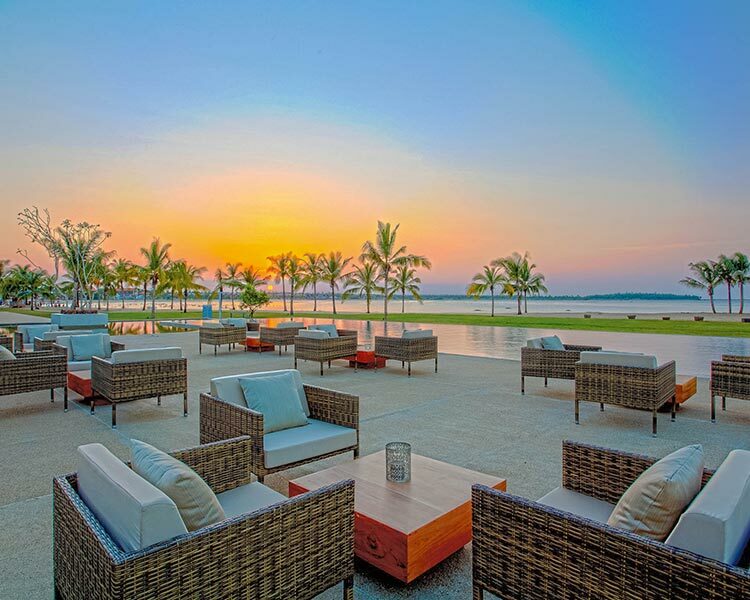 Armed with an experienced events team and unique wedding packages, Habarana Village is one of the foremost destination wedding hotels in Sri Lanka. The gentle surroundings of Habarana Lodge by Cinnamon paired with its colloquial influenced design indulges the international traveller in rustic luxury.